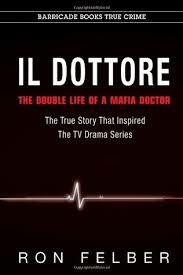 His non-fiction book Il Dottore: The Double Life of a Mafia Doctor, was the inspiration for the FOX television drama “The Mob Doctor”. Ron Felber is the author of the Jack Madson crime thrillers A Man of Indeterminate Value, The Kafka Society, and Dark Angel. His non-fiction books include Mojave Incident. Mr. Felber is a graduate of Georgetown University. He teaches creative writing at Drew University's Caspersen School of Graduate Studies. "A must read foe anyone interested in mob lore, a raging page-turner!" "The most terrifying and enlightening UFO story ever told!""